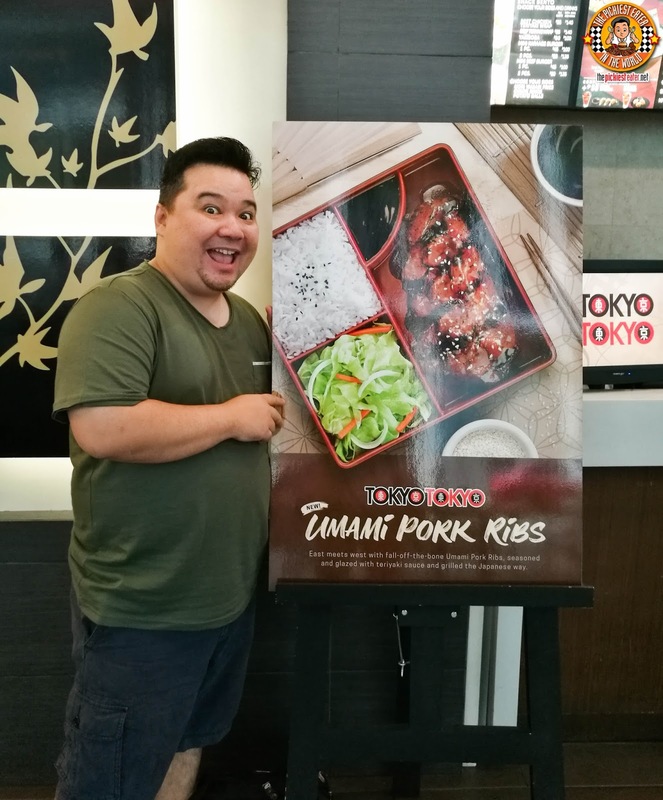 THE PICKIEST EATER IN THE WORLD: TOKYO TOKYO'S NEWEST HIT: UMAMI PORK RIBS! TOKYO TOKYO'S NEWEST HIT: UMAMI PORK RIBS! Through the years, Tokyo Tokyo has taken serious steps to set itself apart from its fast food contemporaries, by constantly evolving its menu to include classic Japanese dishes, as well as favorites from the orient wiht innovative, modern twists. 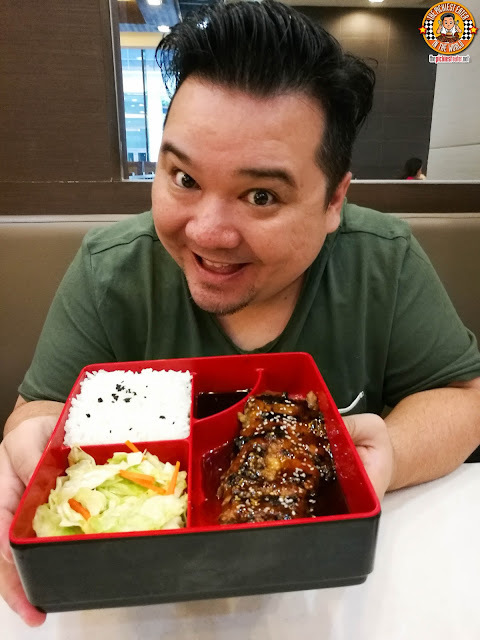 I’ve enjoyed their Beef Festivals, Their Ramen offerings, and their Karaage Entrees, but I couldn’t help but be excited at the thought of Tokyo Tokyo creating a new Pork Ribs dish, for us meat lovers… The Umami Pork Ribs! 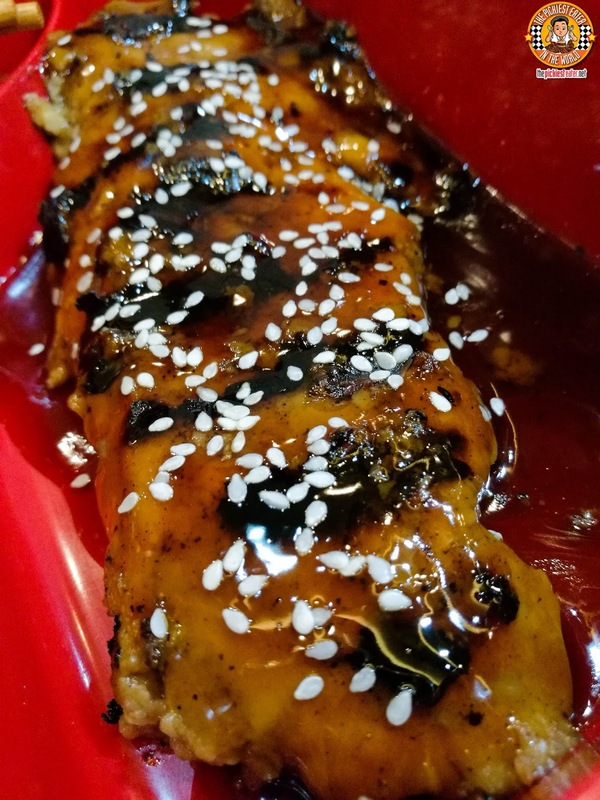 Tokyo Tokyo’s latest dish, the Umami Pork Ribs, is like East meets West concept… Barbecued Pork Ribs, Coated in a Sweet Soy Teriyaki Glaze that is bursting with flavor! 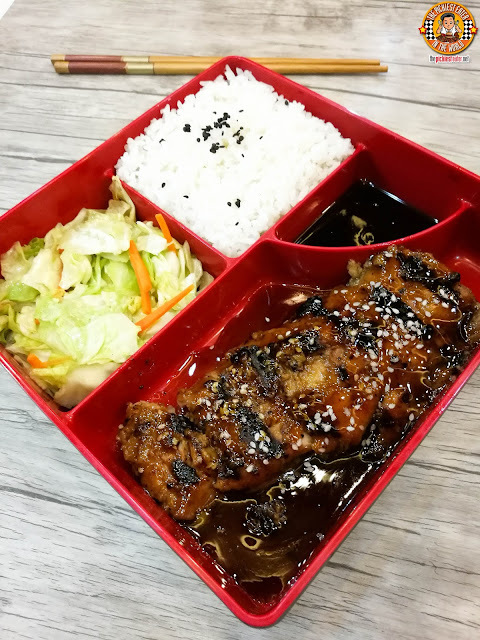 Though you’re sure to get your fill of the meaty ribs, the dish also comes with Vegetable Misono and Unlimited Rice! I was pleasantly surprised with how well the Ribs were grilled. Truthfully, I wasn’t expecting very much from a fast food restaurant, but I was happy to discover that Tokyo Tokyo’s Umami Pork Ribs were skillfully grilled, adding gorgeous char marks around the meat, giving a delicate smokiness to it, which acted as a Yin to the sweetness of the Teriyaki Sauce’s Yang. 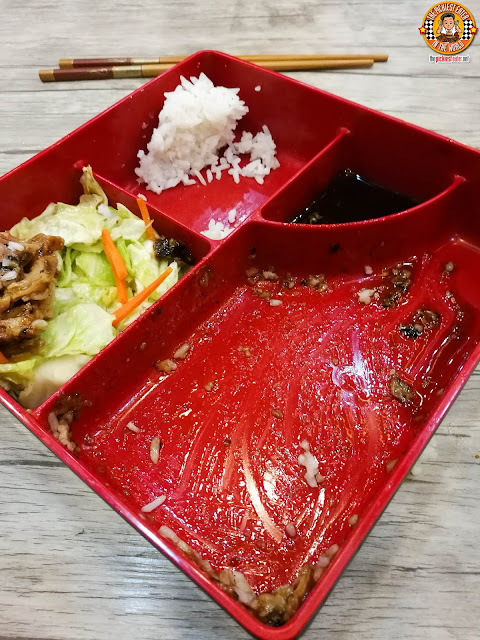 Healthy chunks of meat clung on to the bone, but tore off with only minimal effort, that would make you think that this was done in a legitimate smokehouse, instead of a Japanese fast food restaurant. Every bite invokes that Umami flavor that will make you want to take one bite after another. How good are Tokyo Tokyo’s Umami Pork Ribs? Well, let my plate do the talking. I may not have touched my Vegetable Misono, but by gum, I absolutely annihilated those ribs! Tokyo Tokyo knocks it out of the park once again with yet another innovative, yet absolutely delicious new addition to their menu. 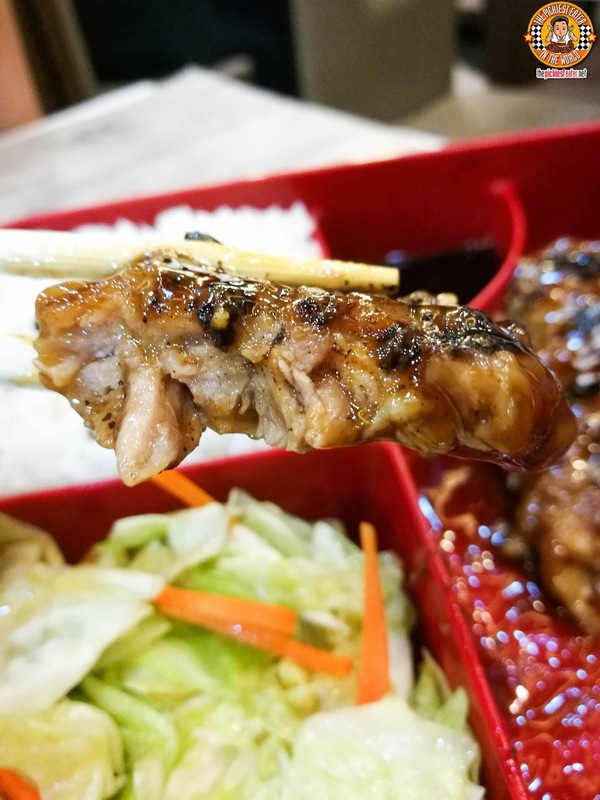 If you’re a meat lover such as myself, the Umami Pork Ribs is one dish from Tokyo Tokyo that you won’t want to miss! The Umami Pork Ribs are available for only P225 ala carte, and P280 for a complete meal, including Soup, Dessert and a Drink. Like Tokyo Tokyo Philippines on Facebook! Follow Tokyo Tokyo Philippines on Instagram! HAPPINESS IS A GLASS OF ALASKA MILK! MERANTI HOTEL'S SPECIAL CHRISTMAS SET MEAL! FREEZER BURN'S SPECIAL CHRISTMAS FLAVORS! FATBURGER FINALLY OPENS IN GLORIETTA 2!